Maher from the village of Huwwara close to Nablus, is one of many Palestinians who has been tricked into thinking that Palestinians have the power to issue building permits in areas labelled as ‘B’ under the Oslo accords. Maher owns land designated as ‘B’ and so applied to the Palestinian Authority for planning permission to build a house to provide for his children when they grew up. The permission was accepted and he obtained the relevant documents and paid the relative charges to proceed. The land the house was going to be built on was being used as a rubbish tip and so he started to clear the land in order to build the house. 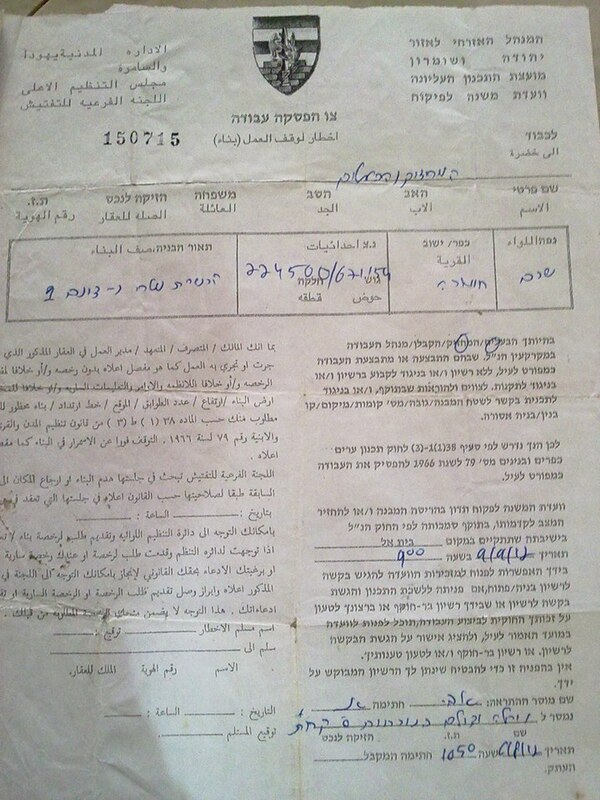 For six months he cleared the land and dug the foundations of the house before Israel issued a stop work paper in early July. Maher was surprised by this, especially when the reason for the stop work order being issued was because of Israeli claims that the land was Area C. Maps obtained show that the proposed structure is in area B but Maher has no choice but to challenge the decision in the court if he wants to continue building. 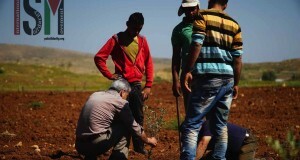 The land is on the outskirts of a built up area of houses and Palestinian residents and so it is not clear why Israel is prohibiting the building of the property as there are no ‘security’ concerns of the occupation near by.’There’s just Palestinians here . 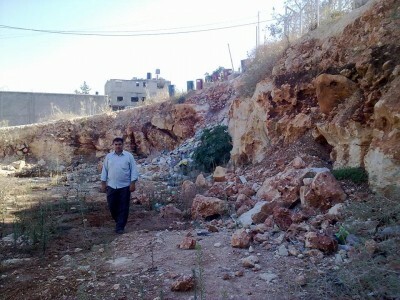 No army , no settlers, nothing prohibiting us from building’ says Maher. Since he received the stop work order, the site neighbouring his was also given a stop work order on their property that was nearing completion. 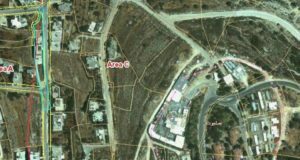 Israel as the occupying power has to provide for services, infrastructure and allow for new accommodation for the inhabitants but almost universally rejects planning permission in area C. Maher’s land is in area B and so under the agreement where the Palestinian Authority and Israel have joint control, the permission granted by the Palestinian Authority should be sufficient to build the home. 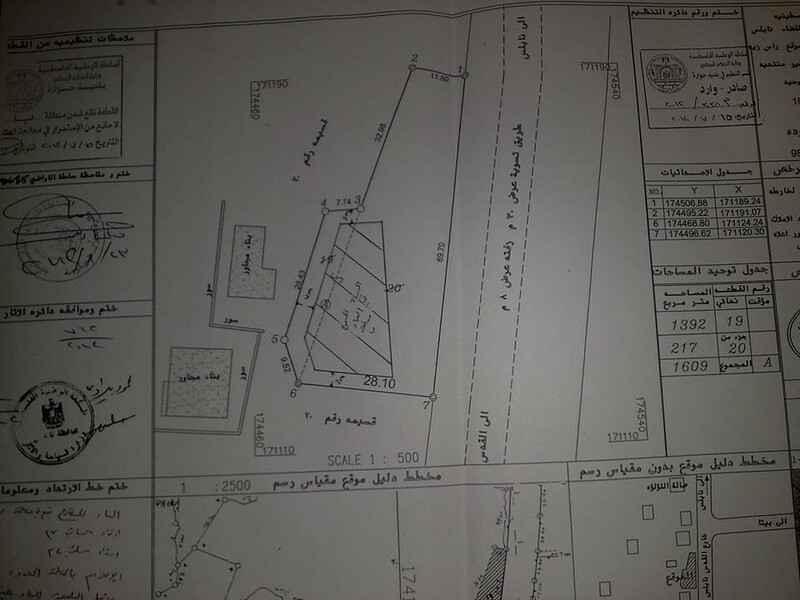 Similar cases of this denial of permission and dismissal of Palestinian Authority permits due to claiming that the land was area C, has happened in the village of Sarra. Under the Oslo agreement the occupied territories in the West Bank were divided into areas A, B and C. A small amount of area designated as ‘A’ gives full power to the Palestinian Authority to administer in civil and security matters. Land designated as area ‘C’ is under full Israeli military control where the occupying power has to provide security and services for all the inhabitants. 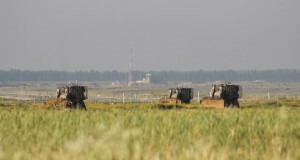 Area ‘B’ is agreed to be under joint control by the Palestinian Authority and Israel.